Founder and President of David Umahi Nweze Akabuorah Ebonyi Transformation Agenda DUNAETA Lady Monica Ada Chidinma Eze, has described the donation of five Hundred million Naira (N500M) to empower 2,500 Pastors and five arms of Christian Association of Nigeria CAN, as unprecedented, historical and monumental in the annals of politics in Ebonyi State. Governor Umahi who on assumption of office on 29th May 2015, reportedly dedicated his tenure to God almighty and thereafter set up the Divine Mandate Pastors' Forum with 2,500 Pastors drawn from the five blocks of CAN as bedrock members. He in his unique style of administration of eradicating poverty in Ebonyi State, donated N250million to the Divine Mandate with each of the over 2, 500 members, receiving N100, 000 each while the five blocs of CAN shared N250 million. "This act to empower 2,500 Pastors drawn from the Divine Mandate Campaign Platform and members of the Christian Association of Nigeria (CAN) in the state with N500 million at a stretch has earned Governor Umahi unassailable divine endorsement to win the 2019 gubernatorial election unobstructed". 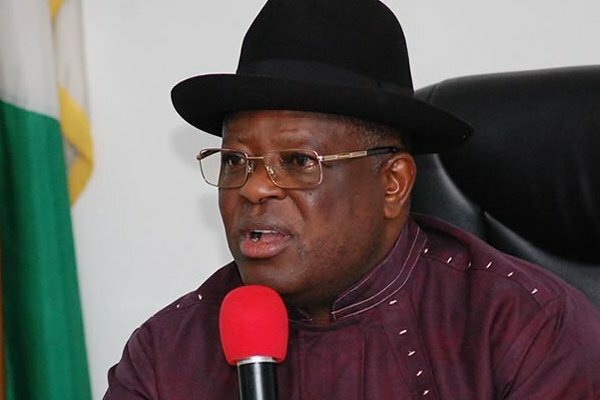 "To truly make Ebonyi State God's own State, Governor Umahi directed that Worship Centres should be established in various Government Ministries where every civil servants and the general public are expected to pray and dedicate government activities to God by every Monday from 7am to 9am".